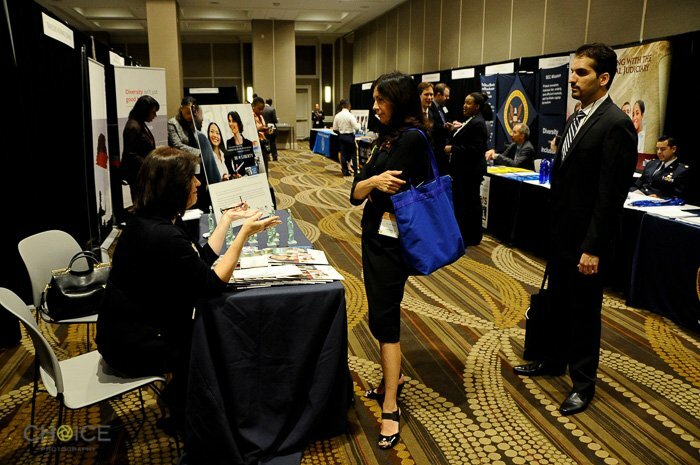 The HNBA Career Fair is the nation’s largest career fair for Hispanic law students and legal professionals. One of the HNBA’s many institutional objectives is to assist our members during our National Convention in obtaining gainful employment and/or furthering their career goals. 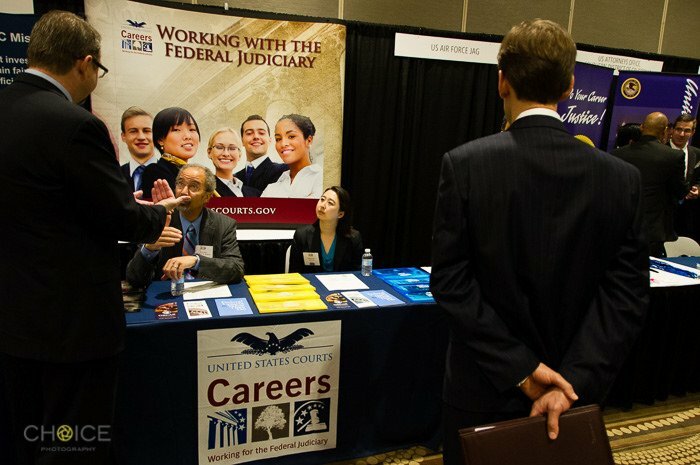 The HNBA Career Fair will provide your company/organization an opportunity to meet with and interview some of the best and brightest law students and attorneys from across the country. 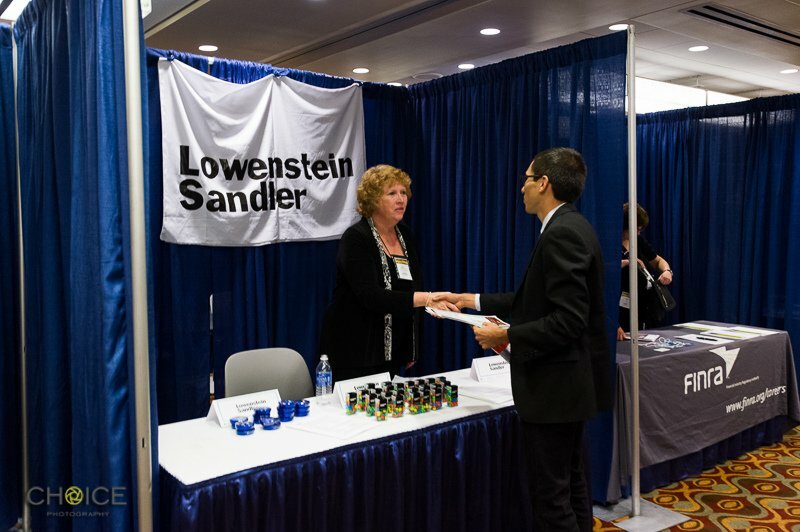 It will also provide your organization with a unique and cost-effective way to meet your recruiting goals and promote your visibility among this important segment of the legal profession. 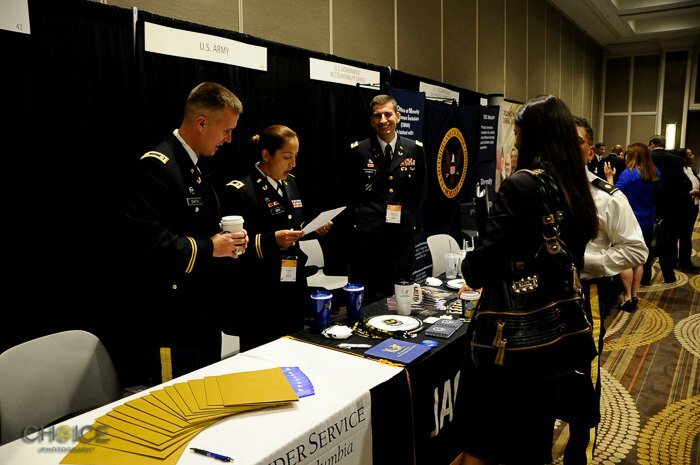 The HNBA will provide both public booth space and private interview pods where you will have the chance to engage in table talk with potential candidates and to interview individuals that you identify ahead of time using our web-based portal, Symplicity, a well-known, web-based Career Services Management System used to manage all aspects of the process. The Symplicity portal will allow you to specify whether you are seeking entry-level or mid-career candidates, class years and class standings, and required application materials. 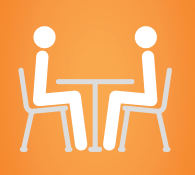 You will also have the opportunity to schedule interviews in 20 or 30 minute time slots, depending on your preference. Don’t hesitate and sign up today by clicking here. You will receive access to your Symplicity account upon registration, where you will be able to manage your profile, recruit candidates, receive application materials and schedule interviews. If you would like to participate in the Career Fair, please register via the HNBA Registration Portal. Once you have paid for your registration, you will be contacted by Siobhan DeLoatch, HNBA Program Coordinator, with instructions on how to set up your account with Symplicity, a platform used to share resumes with employers. If you have questions, please contact Ms. DeLoatch at info@hnba.com. 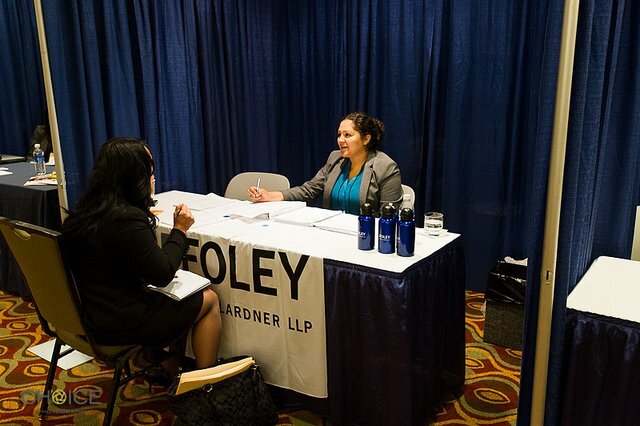 Law Student Career Fair Participants may apply for a Career Fair Travel Stipend, geared towards reimbursing expenses for travel and lodging for out-of-state students.